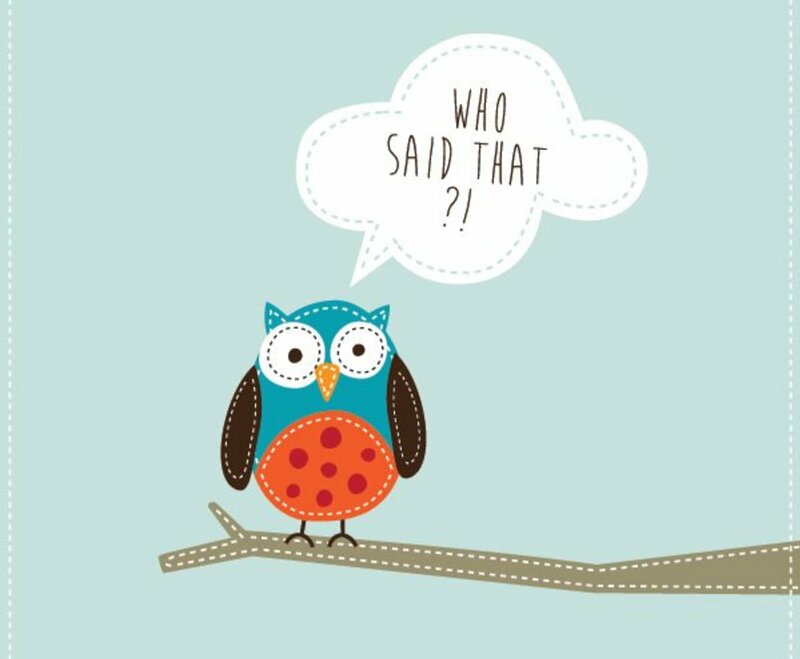 A cute, cartoonish owl sits atop a single branch with a speech bubble above its head, bearing the words “Who said that? !” in a fun font. The muted blue background works well with the wintry brown of the branch and contrasts nicely with the vivid orange, brown, and turquoise of the owl’s body. Small dashes follow the boundaries of most of the color fields and the graphic's outer boundaries, giving the image a yarn-stitched look. The fun owl character and the childish, crafty style gives this graphic an endearing personality, and it's a cute choice for addressing a casual audience.